I suppose since all of the soccer playing taking place in this news story is located in Italy I should refer to soccer as football or even futbol (where the hell are the accents on keyboards?). However, I will not because it will mean Thom and the rest of his English compatriots have won. 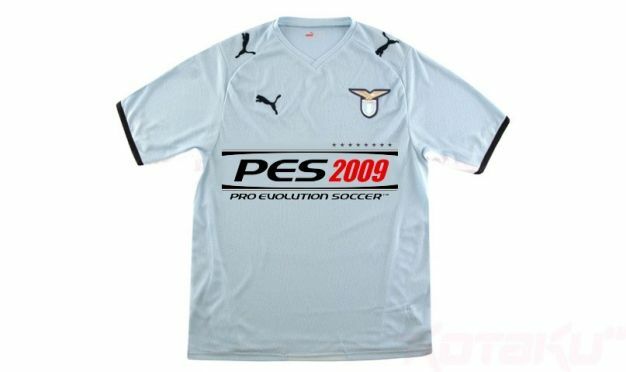 With that said, in soccer news today it seems that PES 2009 will be sponsoring an Italian Serie A club called Lazio’s jersey for one game in which they will take on Inter Milan. Will that rivalry ever die? Remember when the Lazios won in a last second goal in the most exciting soccer match ever? I made that up, and it’s clear that I know nothing about soccer, but since PES is getting beaten by Fifa in both reviews and sales for the first time in 20 bajillion years sounds like a little advertising could do the game some good. In case you were wondering, this is the first time a game has sponsored a team, but not the first time a gaming company has. Even in the US, where soccer is shunned worse than a red headed step child, Microsoft has sponsored the Seattle Sounders.